Geometric shapes and luminous atmospheres…. 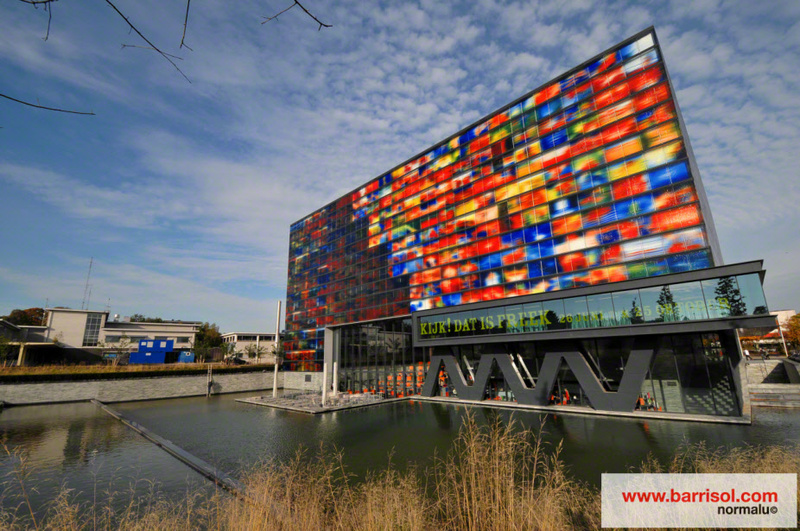 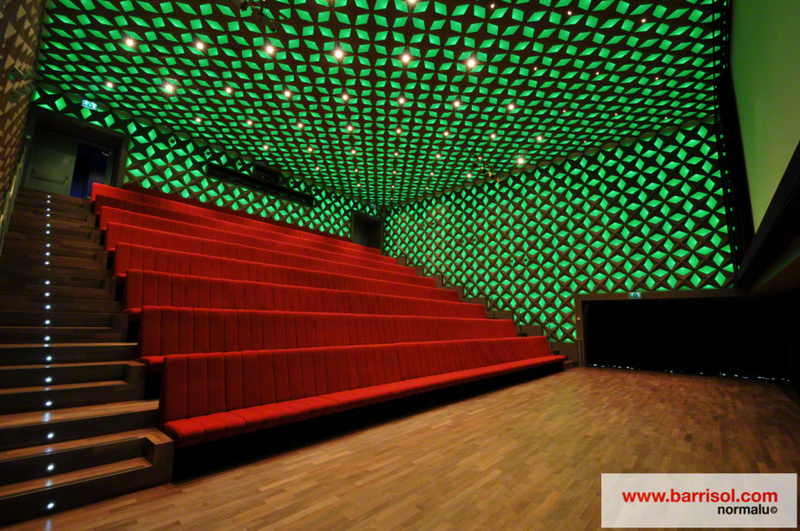 "Neutelings Riedijk" architects made a new luminous and design decoration in one of the main rooms of the "Media Institute Beeld in Geluid" in Hilversum city, in the heart of Netherlands. 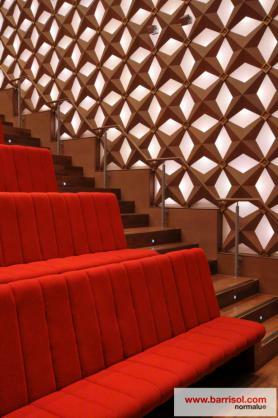 The architects created a unique design by installing luminous rhombuses on walls and ceilings. They chose Barrisol® exclusive translucent membranes to realize their idea. 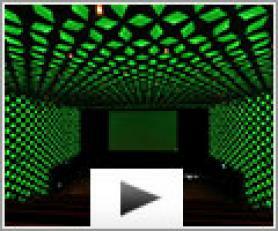 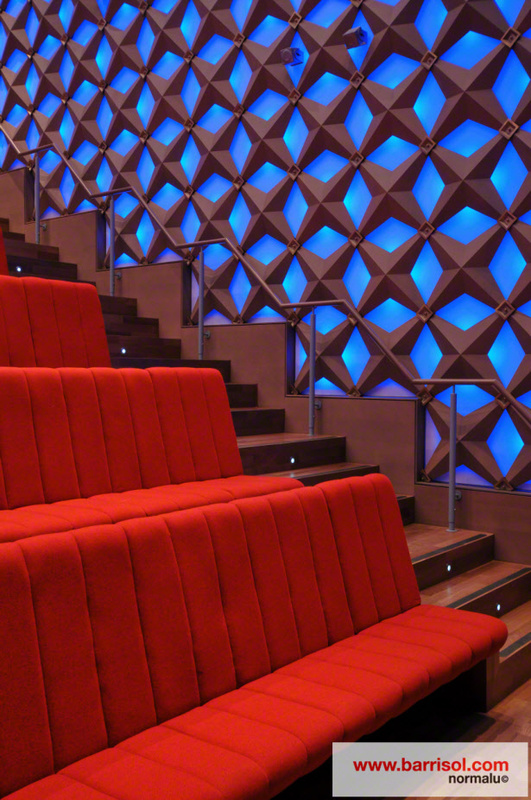 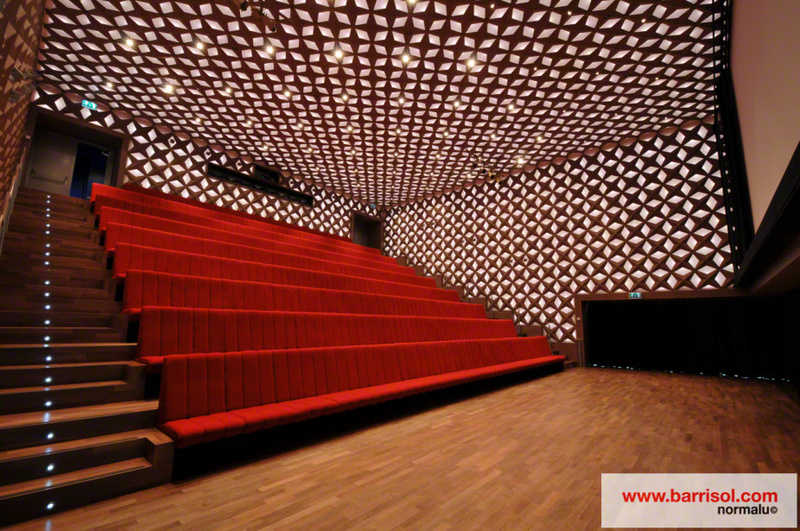 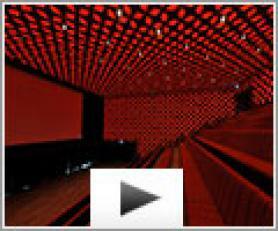 With the extended possibilities of lighting effects provided by Barrisol Lumière Color®, they imagined various and customized colored atmospheres, making psychedelic atmospheres into this High Tech cinema. 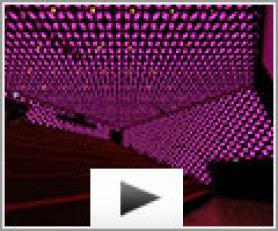 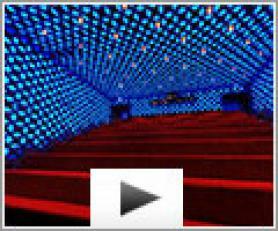 These lighting effects create a great visual impact to spectators already at their entrance in the room!